For the Middle East and its surrounding areas, Israel remains the standard bearer for tech startup activity and research and development. Nearly $3 billion was invested in Israeli tech startups in the first six months of 2016 alone but maybe there are some cracks starting to appear. In August Bloomberg reported on complaints from the tech and R&D sector about government agencies not making good on their funding promises. It stoked fears about a slowdown in Israel’s tech-driven economy. These worries have since drifted to the background with news of billionaire Marius Nacht starting a $100 million fund to develop later stage Israeli startups and Microsoft teaming up with GE and Qualcomm to invest $20 million in IOT companies. Will this be enough to get Israel back on track in 2017 or have fears been exaggerated? Outside of Israel, the UAE is the leader for tech investments. Per a report from Arabnet that tracked digital investments in the MENA region from 2013 to 2015, UAE tops the list with Saudi Arabia, Lebanon, and Egypt on its tail. In 2016, UAE-based fintech startup Invoice Bazaar closed a funding round of $1.1 million in late November. Naspers-backed Souq, the “Amazon of the Middle East”, led investment rounds in Dubai-based ecommerce company InstaShop and logistics tech start-up Wing.ae but the investment firm remains tight-lipped on the figures. Saudi Arabia and some of its neighbours have fancied themselves as the “Silicon Desert”. Saudi Arabia is another country in a state of flux as oil prices fall. Whether ICT is the antidote is unknown but the kingdom is definitely trying. This year it invested $3.5 billion in Uber while new funds have been popping up like Riyad Capital but most recently the kingdom teamed up with Japanese giant Softbank and plans to start a whopping $100 billion fund. Over the next ten years, the duo will become “the biggest investor in the technology sector,” according to Masayoshi Son, Softbank chairman. It is expected that the fund will target the internet of things in particular, at least from Softbank’s side. The Japanese firm certainly knows a thing or two about smart investments and mergers. It acquired ARM this year and has a stake in US telco Sprint. In Lebanon, we’ve seen the mayors of Beirut and London sign a deal that will allocate £2 million to a UK-Lebanon Tech Hub. Whether it benefits local Lebanese start-ups or they fly the coop to London remains to be seen. Access to funding was a huge barrier in 2015 with political unrest contributing to these challenges. Last year we saw how Egyptian start-ups were struggling with securing funding. In 2016, the landscape has marginally improved. A15, a Cairo investment firm, launched a $3 million fund this year to invest in areas like health tech and ecommerce. It has invested around $800,000 thus far, it said. Some of its previous investments include recruitment platform Wuzzuf, which raised a $1.7 million round last year with contributions from international investors. One of the biggest resources for startups in this region is the Flat6Labs accelerator, which operates in Egypt, Saudi Arabia and UAE. The Egyptian arm of the accelerator landed $1 million from the World Bank’s International Finance Corporation, which backs start-up support networks around the world. Across its various locations, Flat6Labs has pumped money into more than 40 projects over the last few years. The programs, funded by Egyptian VC firm Sawari Ventures, are now seeking new areas to focus on and have signed a deal with Abu Dhabi Global Market to fund and grow fintech in the UAE. Abu Dhabi Global Market has already established its Regulatory Laboratory (RegLab) to help develop the local fintech ecosystem. The political turmoil in Turkey, exacerbated this year by a failed coup and terrorist attacks, has had a direct impact on businesses in the country. For many start-ups, they’ve reached a fork in the road – develop their product and turn to the European market or continue into the Middle East market first. Doing both is of course possible but not at the same time, especially for a young company that’s simply trying to scale. Turkish startups need to move into new markets if they want to succeed because international investors aren’t looking into the country as much as they would like. Accelerator eTohum hosted the Startup Istanbul conference in October with organisers stating that several attendees from Silicon Valley cancelled their appearances at the event. This is not to say that investments have stalled. In July, the Abraaj Group opened up its $526 million investment fund exclusively for Turkish companies. The European Innovation Fun (EIF) established a €200 million growth and innovation fund in partnership with the Turkish Small and Medium Enterprise Development Organization (KOSGEB) and Industrial Development Bank of Turkey (TSKB). The country still provides a gateway of sorts for companies trying to enter the Middle East where we’ve seen programs like Startupbootcamp launch accelerators in Istanbul for companies that want to go east. 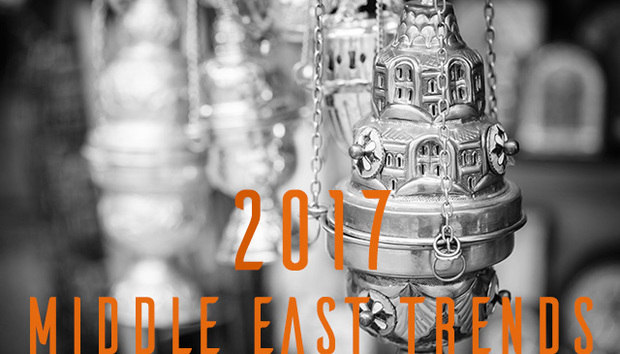 In 2015 we considered the various political and economic challenges that may inhibit the growth of the Middle East ICT sector in 2016. Throughout the year it’s been another mixed bag of ups and downs, which looks set to continue into 2017.